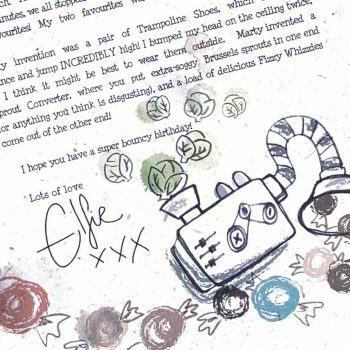 A unique handcrafted personalised letter from Elfie, one of the Elves in the North Pole. 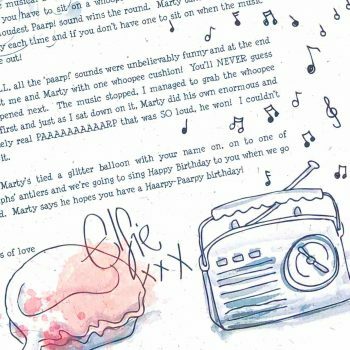 Complete with splodges! 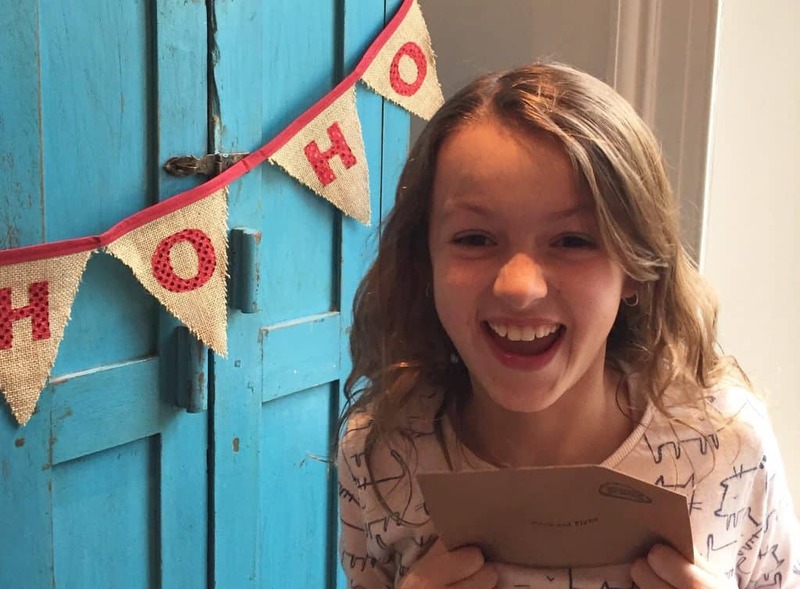 Elfie, (one of the big team of Elves up in the North Pole), has extremely exciting news: Father Christmas is inviting your children (and you) to visit him in Lapland! Unfortunately Elfie can’t be there in person Elf, as there’s a very important Top Secret Mission planned: Father Christmas has chosen Elfie to join the elite team to search for magical North Pole crystals for a Top Secret Potion. Of course there are huge discussions about what the magic potion is for, with all the Elves trying to guess. 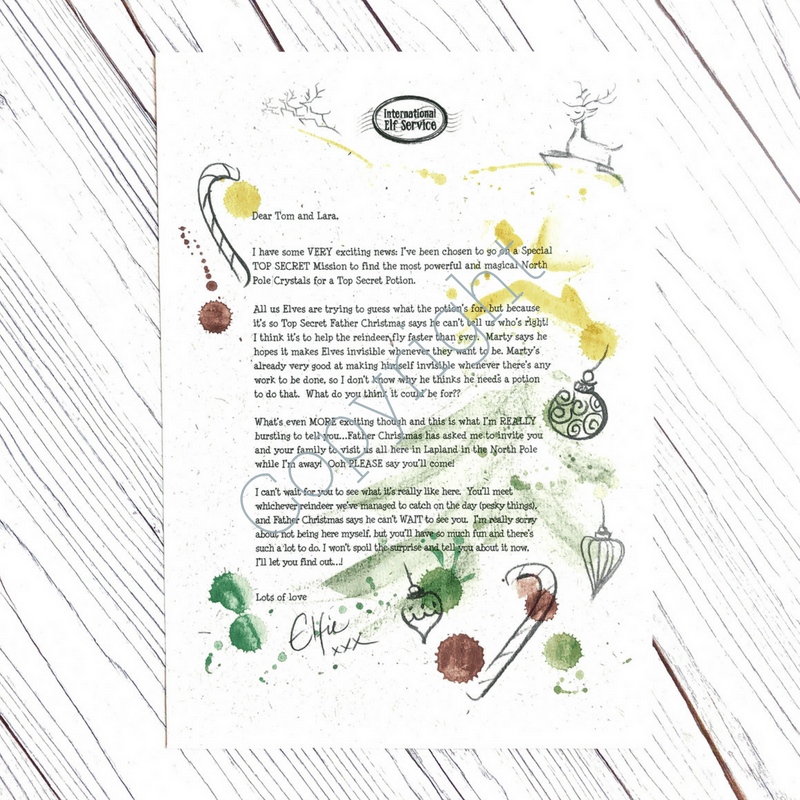 But because it’s so Top Secret, Father Christmas won’t tell them who’s right! There is so much to see and do in Lapland, but Elfie doesn’t spill the beans – you can find out when you get there! Except to say… you will meet one of the reindeer … whichever one they can catch at the time! 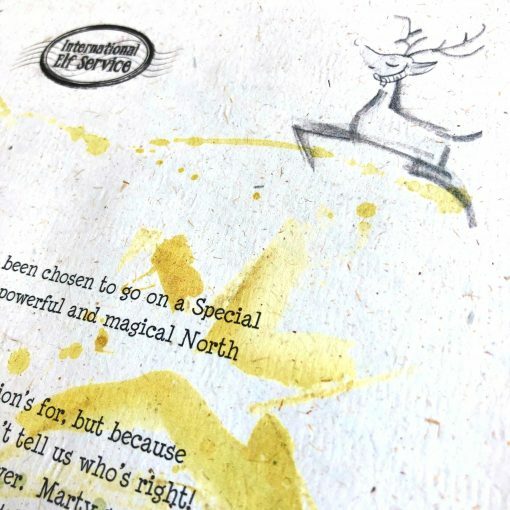 A personalised invitation to Lapland, complete with splodges. 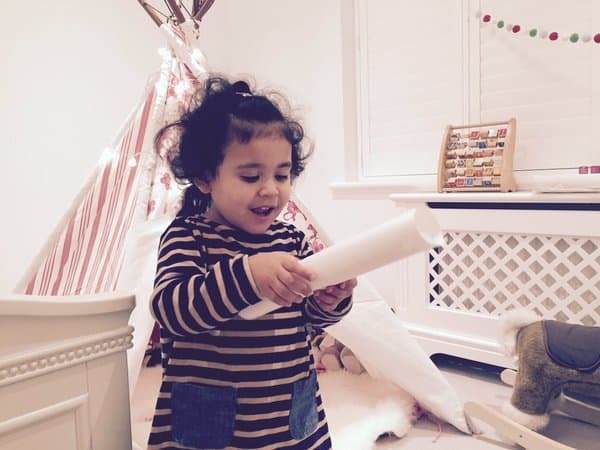 It will be addressed to your child for you to deliver to them in whichever way is most magical for your family. 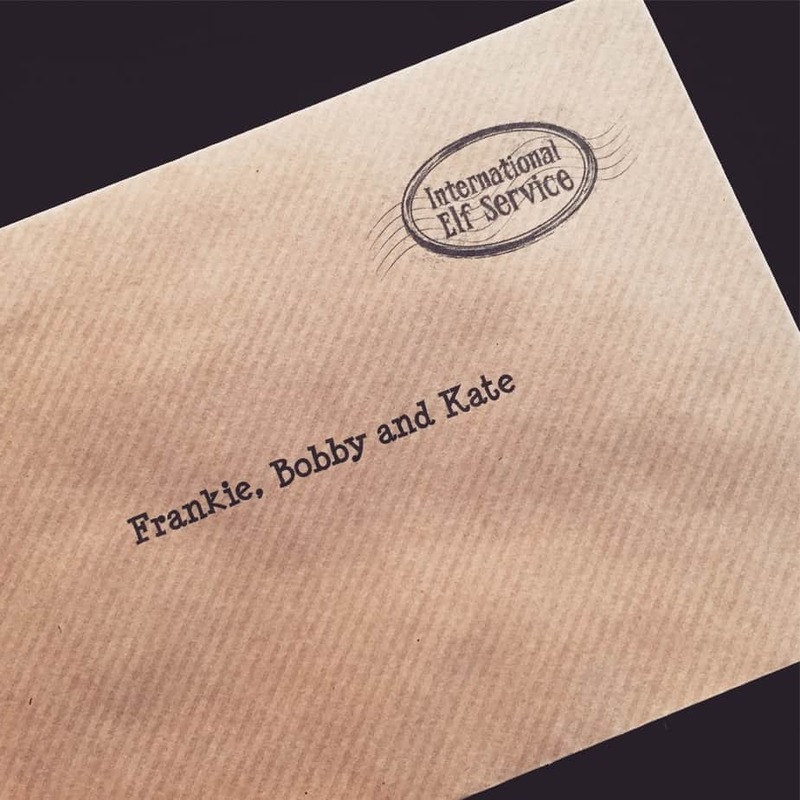 A personalised official International Elf Service™envelope. 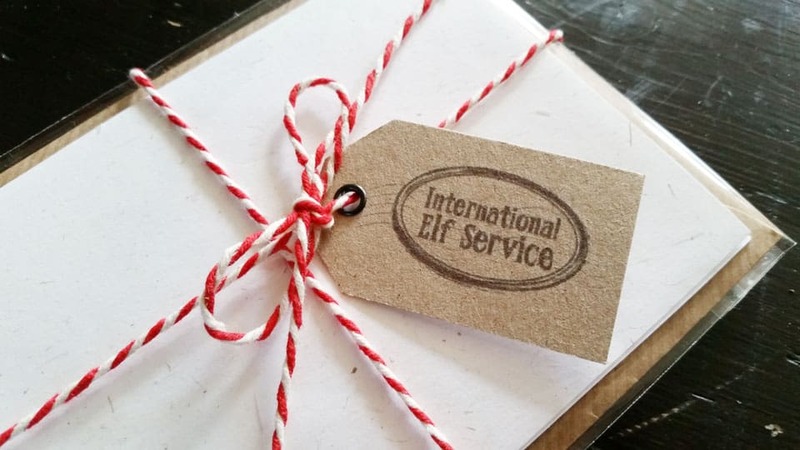 An International Elf Service Tag, tied with North Pole Candy Cane Twine.